PLANT NAME: Sida rhombifolia L.
OTHER NAMES: Sida hondensis, Sida ruderata. COMMON NAMES: Huang hua mu [China] country mallow [English]; bala, mahabala [India]; chittamadi [Srilanka]; escobilla [Panama]; mautofu [Samoa]; petoria-bossie [Africa]. NOMENCLATURE: The name “Sida” was originally from Theophrastus who used it for Nymphaea alba. Linneaus applied it to this genus. TOXICITY: No toxicity of the water extracted aerial parts in rats, even at doses of 10 g / kg, p.o. The LD50 for the root water extraction was 8.5g / kg p.o [Rao 1997]. CAUTIONS AND CONTRAINDICATIONS: Boil for 30-45 minutes before drinking. Not in pregnancy. DOSAGE: 15 grams in combination. Up to 30 grams (1 oz.) alone. STATUS IN HAWAI’I: Unknown. Possibly indigenous. WESTERN FUNCTIONS REPORTED: Antibiotic; anti-inflammatory [China]; abortive; analgesic [China, India]; antidiabetic [India]; anti-inflammatory [India]; aphrodisiac [India (roots)]; beautifies [India]; demulcent [India (stems), Panama (seeds)]; diuretic [China, India (whole plant), Panama]; emmenagogue; emollient [India (stems), Panama (seeds)]; febrifuge [India (stems)]; hypoglycaemic [India]; lactagogue; nutritive [India]; sedative [Panama]; strengthens the body [India]; tonic [India]. Skin diseases [India (stems)]; dermatosis; itching; eczema of the scrotum [China]; impetigo. Sores; boils [China (poultice or a wash)]. Stomach disorders [Panama]; stomach pain [China]; indigestion [Australian Aborigines (root eaten raw)]; flatulence [India]. Diarrhea [Australian Aborigines (root decocted), India]; dysentery [China, India (roots infused)]; irritable bowel syndrome. Hemorrhoids [India (roots and leaves)]. Headache and migraine headache [India (fruit)]. Eye problems [India]; conjunctivitis; ophthalmia; sty. Cramps; joint pain [India]; rheumatism [India (roots)]. Fracture; swelling [India (leaves poulticed)]. Phenylethylamine (PEA) is a neuroamine that is sometimes used for depression. It is also associated with people in love. It occurs in chocolate and is secreted by the brains of athletes when they are in “the zone.” Sida rhombifolia contains both PEA and ephedrine, hence its use as a mood enhancer. In India, Bala root is prepared with oil and boiled milk, and then used room temperature as a douche for sterility. It is also taken internally for the same purpose. Uterine disorders [India]; dysmenorrhea; vaginal discharge [India (roots)]. Gonorrhea [India (roots, seeds, leaves)]. During delivery [India (root infusion internally)]. Respiratory complaints [Eclectic]; respiratory inflammation. Bronchitis; bronchial asthma [India]; cough. Pulmonary tuberculosis [India]; tuberculosis [Europe]; consumption [India]. Bladder ailments; urinary tract infections; blood in the urine. The bark has been used for making rope. Brought to the US in the late 1800’s for fiber. Sida rhombifolia leaves are smoked in Mexico. CONSTITUENTS: Alkaloids (root), ascorbic-acid (leaf), ash (leaf), beta-carotene (leaf), beta-phenethylamine, calcium (leaf), carbohydrates (leaf), choline, cobalt, copper, cryptolepine, ephedrine (root), fat (leaf), fiber (leaf), flavonoids (& their glycosides), gums, hipaphorine, indole alkaloids, iron (leaf), magnesium, mucilage (stem), niacin (leaf), phenolic compounds, phosphorus (leaf), potassium, protein (leaf), pseudoephedrine, riboflavin (leaf), saponin (leaf), sodium, steroids (& their glycosides), tannins, thiamin (leaf), triterpenoids (& their glycosides), vascin, vasicine, zinc. No cardiac glycosides have been found. Depression: Add Morinda citrifolia (noni). 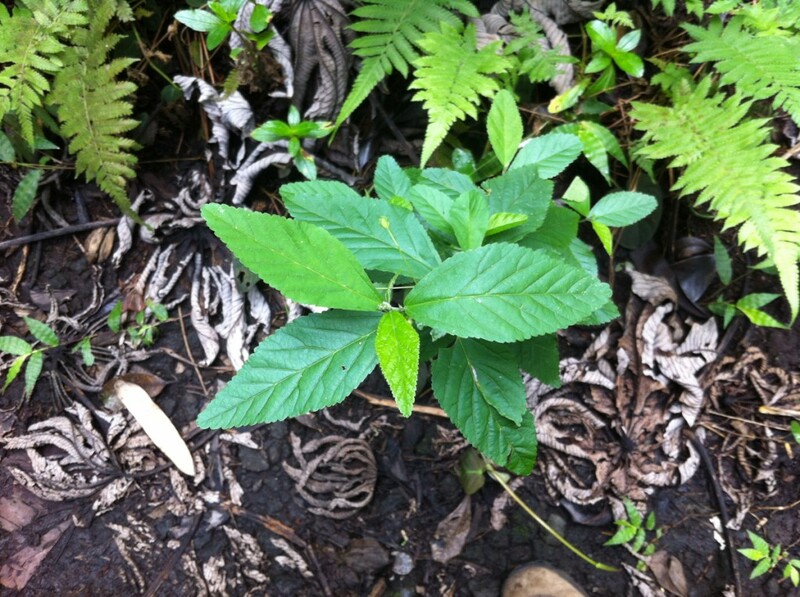 Bronchial asthma: Add Waltheria indica (‘uhaloa). Urinary tract infections: Add Bidens pilosa (kïnehi), Plantago spp. (laukahi). With blood in the urine: add Capsella rubella (shepherds purse). Dysentery or enteritis: With Plantago major (laukahi) or Polygonum hydropiper [China]. Jaundice: Decocted with Desmodium stryacifolium (jin qian cao) and Saururus chinensis [China]. Cervical tuberculous lymphadenitis: With meat as food [China]. RANGE: Temperate, tropical and subtropical areas in over 70 countries. Native to Europe. HABITAT: From 0 to 3600′. PROPAGATION & CULTIVATION: By seed. Scarify (acid, heat, or cold storage) and plant at 1 to 2 cm. One Sida rhombifolia can produce more than 11,000 seeds. Water extracts of the whole plant were liver protective in rats [Rao 1997]. Methanol extracts of the aerial parts suppressed edema in rats [Rao 1997]. Stops pain and is anti- inflammatory [Venkatesh 1999]. Weakly antibacterial and cytotoxic to cancer cells [Islam 2003]. Islam ME, Haque ME, Mosaddik MA. 2003. 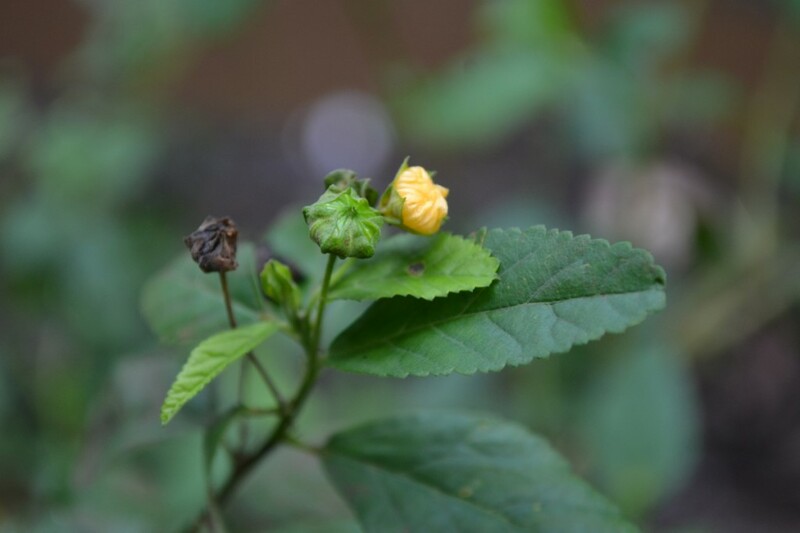 Cytotoxicity and antibacterial activity of Sida rhombifolia (Malvaceae) grown in Bangladesh. Phytother Res. Sep;17(8):973-5. Venkatesh S, Reddy YS, Suresh B, Reddy BM, Ramesh M. 1999. Antinociceptive and anti-inflammatory activity of Sida rhomboidea leaves. J Ethnopharmacol. Nov 1;67(2):229-32.